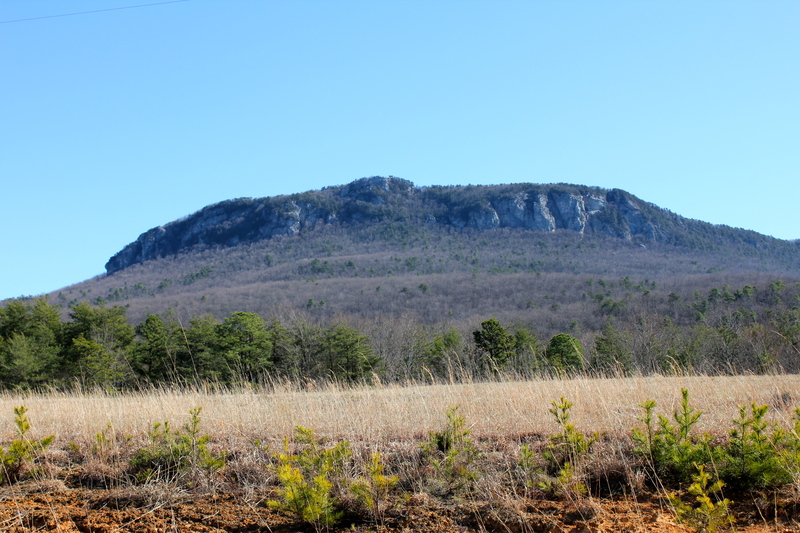 Sitting just north of Winston-Salem, are the Sauratown Mountains. This small, ancient chain was once a part of the much bigger blue ridge chain that sits just to the west. 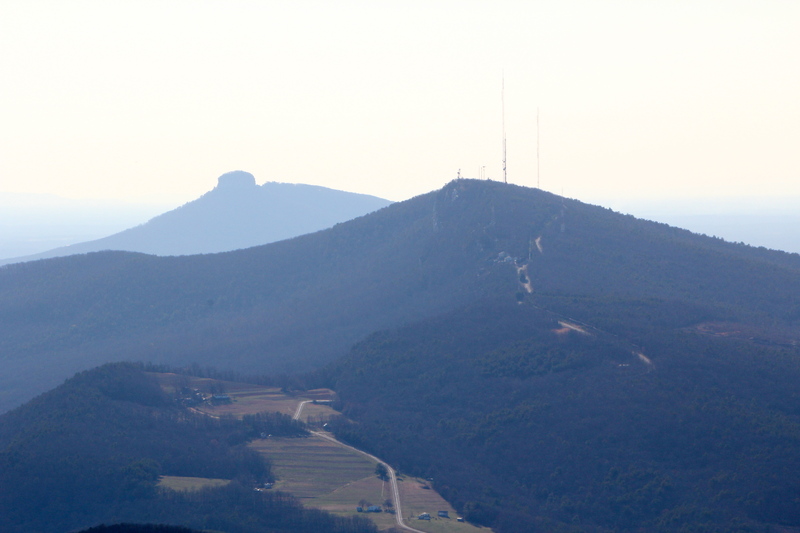 Moore’s Knob is the highest peak in this chain at 2579 ft. 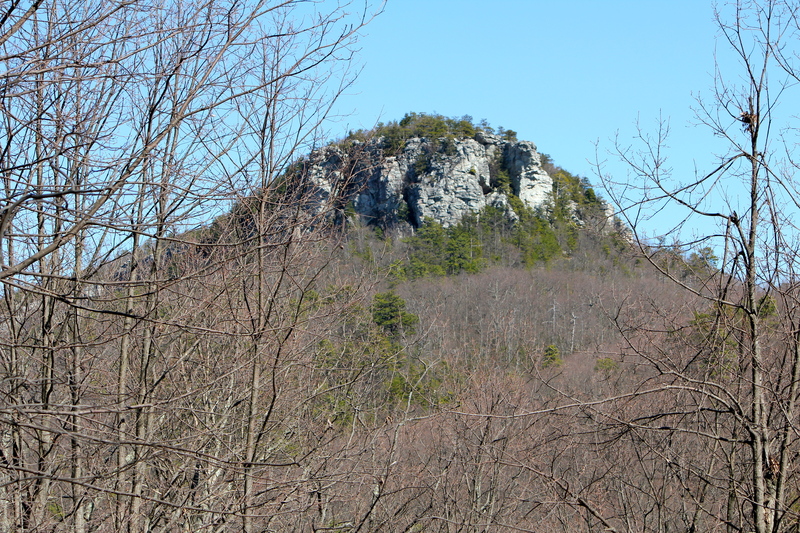 It sits in the popular Hanging Rock State Park, and is one of my favorite weekday hikes. The closeness to home, difficulty of this hike, and views it offers make it hard to beat. 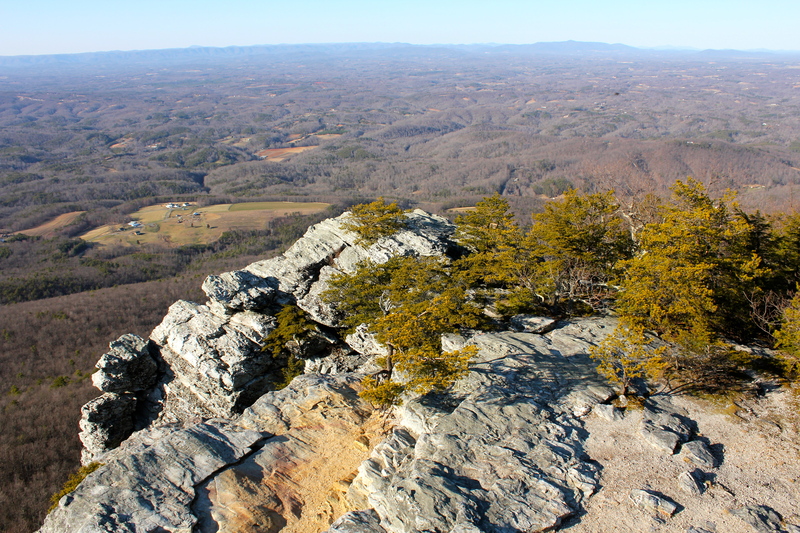 The view above is the popular Hanging Rock, for which the park is named after. This is about as close as I would get to this on this day. It is a great hike reaching the top of this and one I will feature at a later date. This park is actually home to several great hikes. 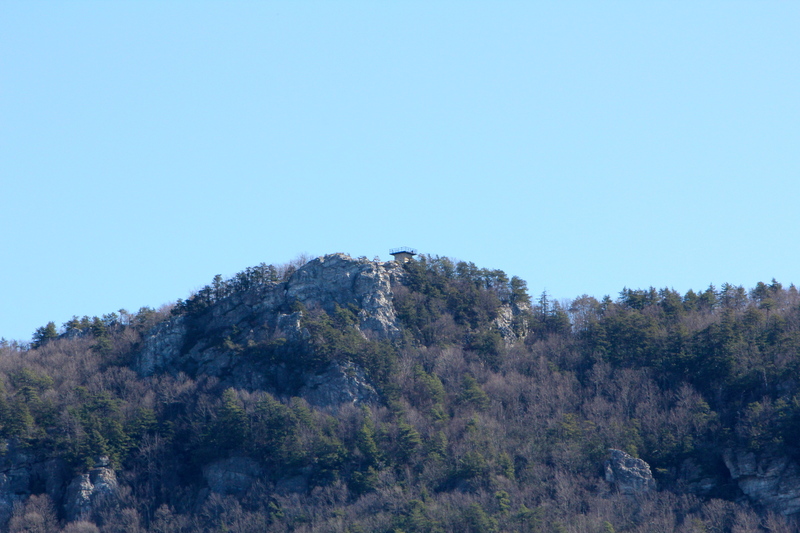 Cook’s Wall, House Rock, Wolf Rock, Hanging Rock, Tory’s Den are all popular destinations. 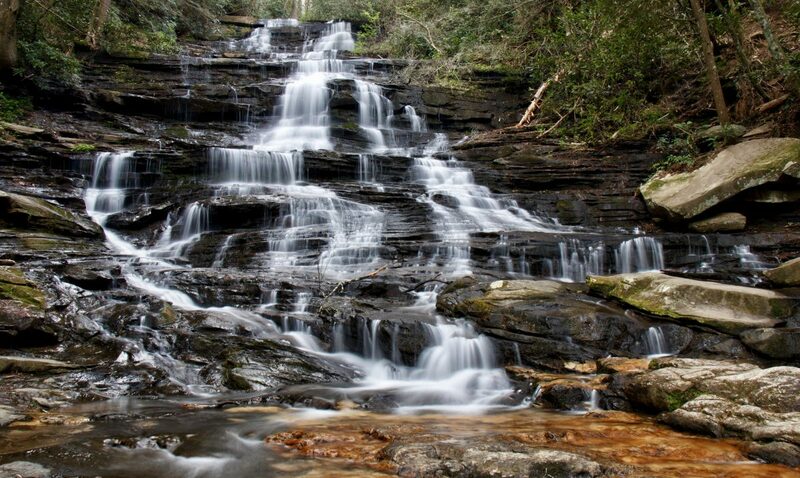 The Park also has 5 waterfalls, Upper Cascades, Lower Cascades, Tory’s Falls, Hidden Falls, and Window Falls. They are all fairly small and can dry up to a trickle in the hotter dryer summer months. 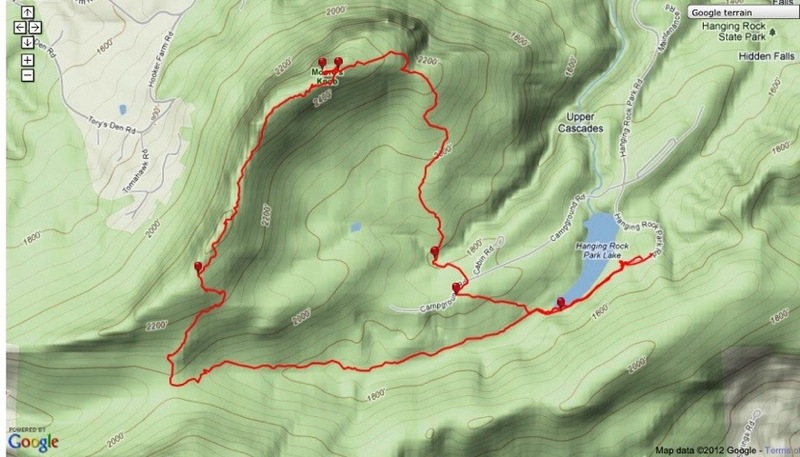 The Mountains To Sea trail also runs through the park and is on a good part of the Moore’s Knob hike today. The Moore’s Knob hike begins at the very top parking lot in the park. 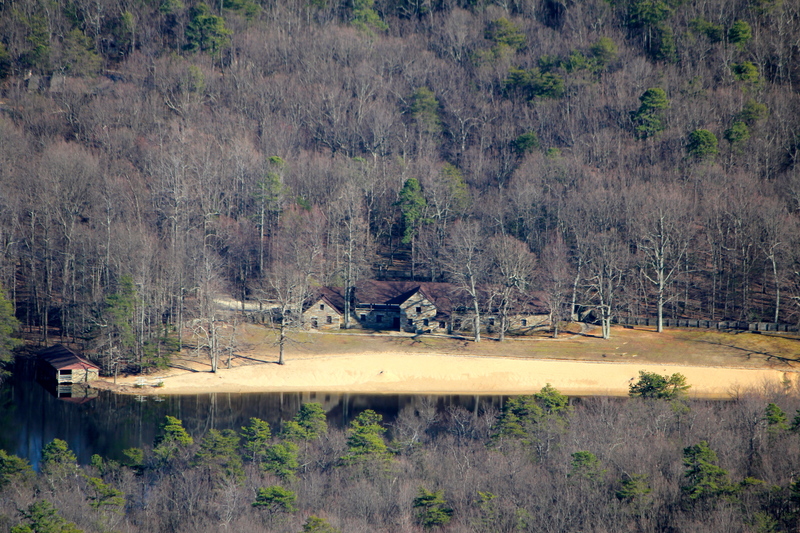 Driving to the top, you will pass the entrance to the visitor center and opt for the lake parking area. The trail begins here at at old rock picnic shelter/swim center besides the lake. This area is packed in the summer months withs kids swimming in the cool spring fed mountain lake waters. For the first mile of this hike, it is relatively flat. It is really just a nice walk through the the woods as you walk along the lake to start. After about 1/4 mile, the trail enters the forest on a series of long wood-planked boardwalks put there to help protect the environment. The trail runs along the lake and the stream that feeds it and there are spots that can be marshy. After a mile you will come to a sign and trail junction. Going left heads to Cooks Wall (another day for sure), and going right heads to Moore’s Knob and Tory’s Den. It is about here that things get real. The incline starts mildly then steadily gets steeper and steeper. I think one of the things that makes this trail somewhat challenging for me is that it changes its texture here and becomes somewhat of a dry creek bed full of larger rocks and stones. Footing can be tricky, as ankles can get twisted when trying to make good time on terrain like this. Once you reach the top of the ridge, you will know you have done some climbing. 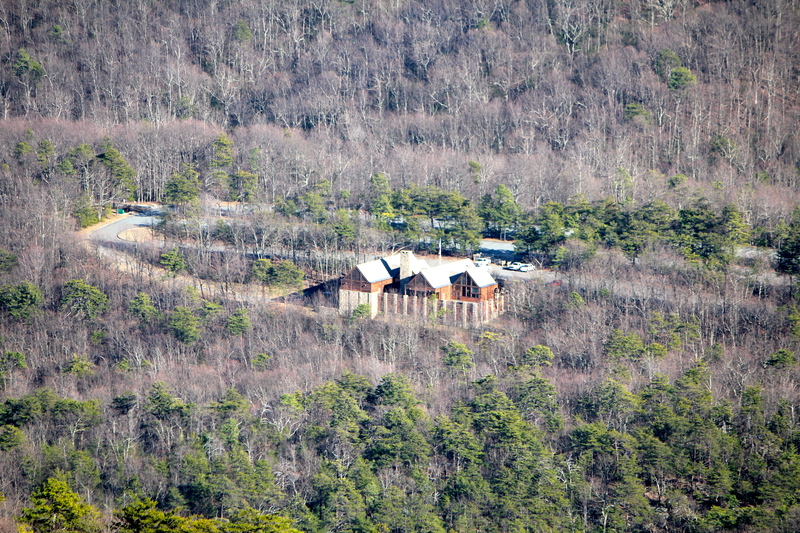 Moore’s Knob is still nearly a mile away down the ridge. One thing that is constant with the Moore’s Loop is that there are just not many good wide open views. This trail runs for a mile atop this mountain. Even once the top of the ridge has been reached, every side path that would seem to be a nice wide open view is just a partially obstructed one at best. 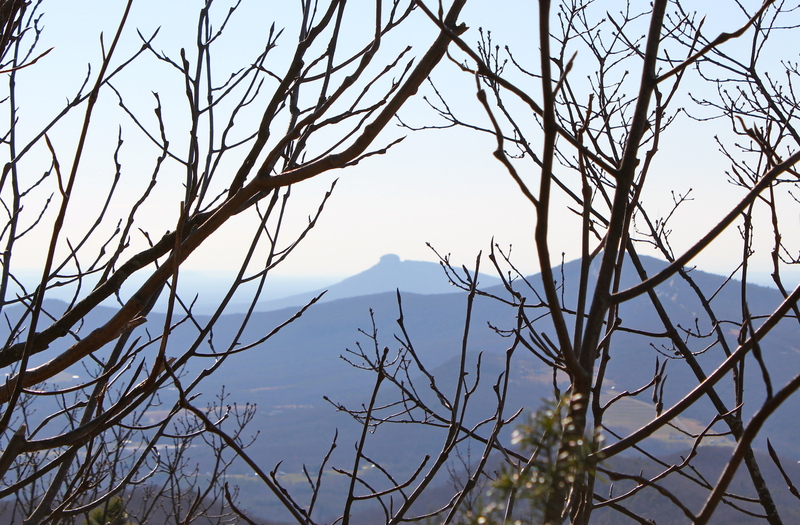 Right now with the lack of leaves, I was able to get a nice view of Pilot Mountain through the trees. While hiking this ridge, the trail does a number of switch backs going up and down. 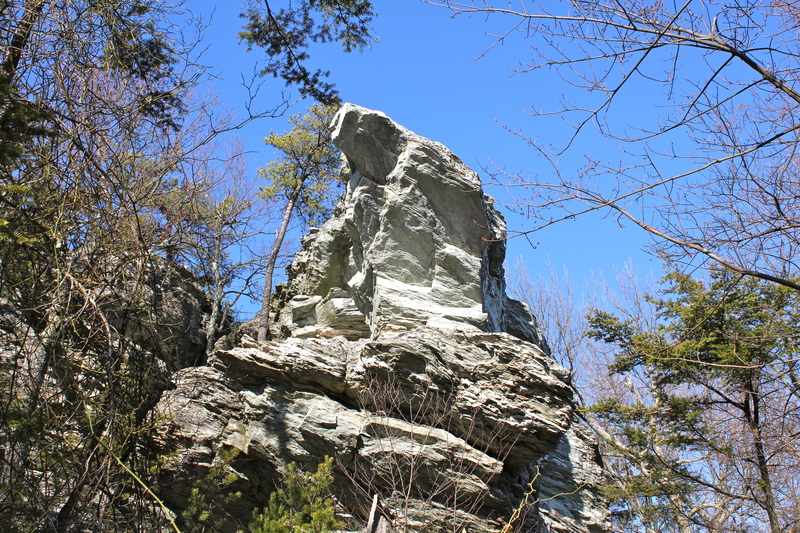 While the views are obstructed at best, there are some pretty cool rock formations along the way. After about 3.1 miles, waalaa!! 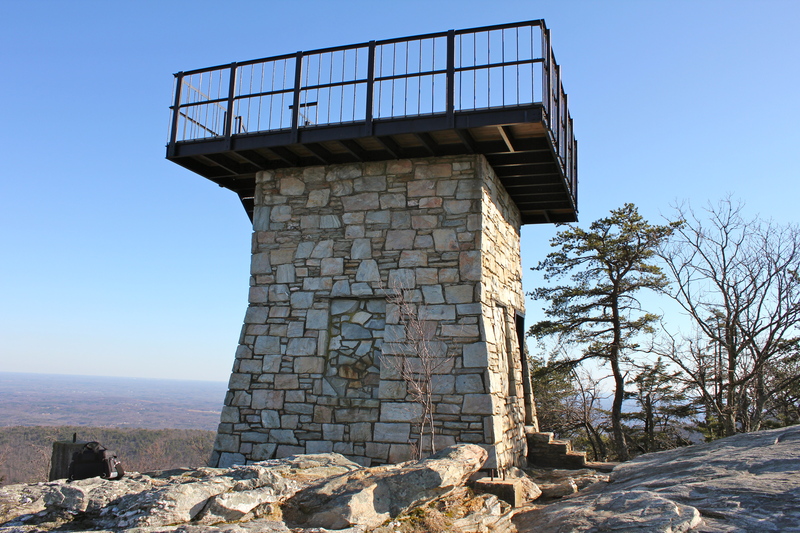 ……destination reached, Moore’s Knob and the Lookout Tower that sits on top of it. 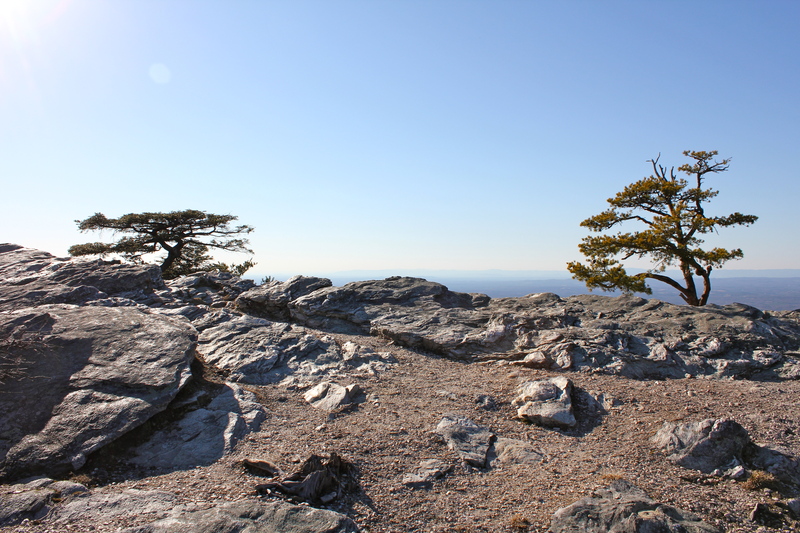 The following shots were taken while on the knob….. 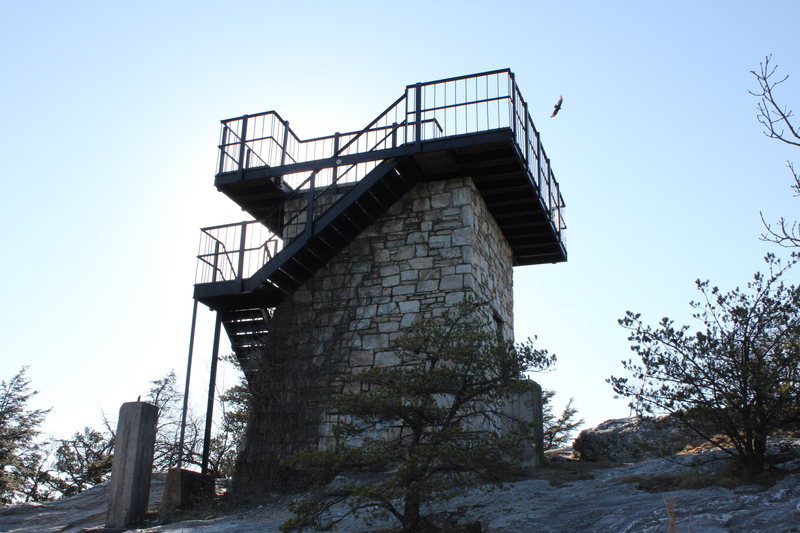 This Lookout Tower sits atop Moore’s Knob at 2579 feet, the highest elevation in the Sauratown’s. Once you have reached this peak, it becomes clear that all of the huffing, puffing, and sweat are worth it 100 times over. This is clearly the best view in the park, with full 360 degrees is available. 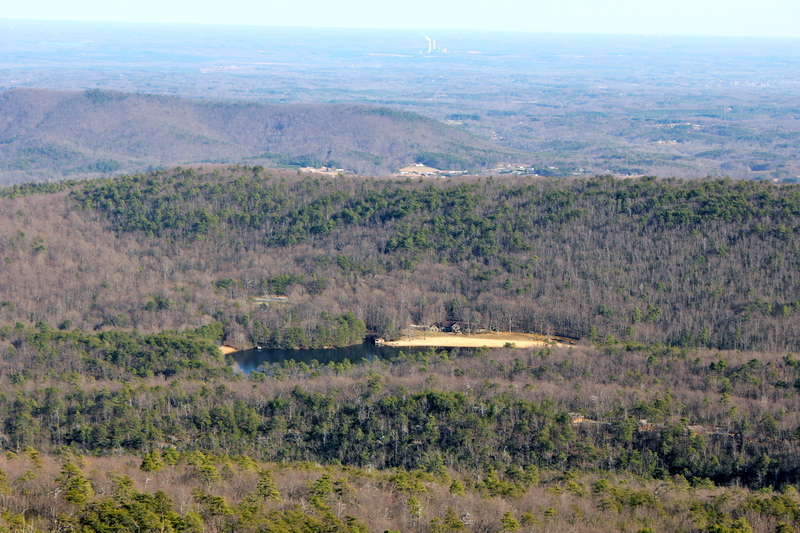 There are things to be seen in each direction, from Pilot Mountain and Sauratown Mountain to the west-southwest, the Blue Ridge escarpment to the west-northwest, the Hanging Rock and Visitor Center to the north, The beautiful shot of the lake way below to the east, and to the south, the entire ridgelines of Moore’s Knob and Cook’s Wall. The rolling hills below and surrounding farmlands help to make the experience complete. There is also a very large rock to walk around at the top with places to sit and enjoy the view. It does not get much better than this. 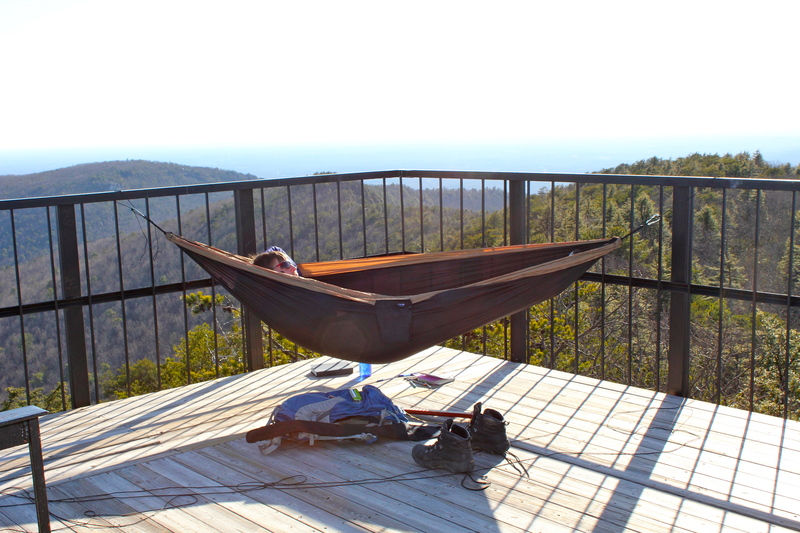 Finally, here is a guy that I ran into that knows how to spend a beautiful afternoon at Moore’s Knob, relaxing in the portable hammock while sitting on top of the world!! From the tower back to the parking area, it is downhill all the way. The trail is rock step, trail, rock step for the 1.2 miles which can be difficult on my old man knees. A campground with a small amphitheater will come into play, and the only real creek crossing will occur just before the trail rejoins itself just past the lake to complete the loop. 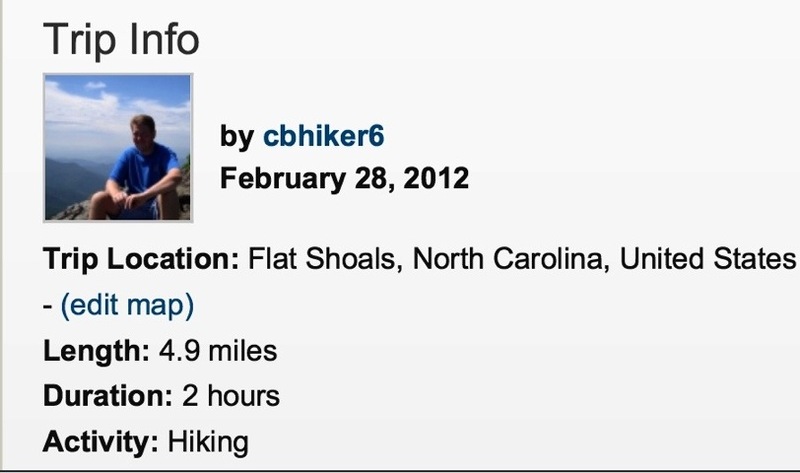 In summary, this hike comes in at just under 5 miles. It earns every bit of the strenuous rating that it has been given. Some other trails in the park offer more numerous views and points of interest than this one, but none are any better. Hello Ray, I’d be happy to chat with you sometime. It’s always nice meeting someone who appreciates waterfalls. There are lots of them too. I’m from Forsyth County as well so we wouldn’t have to travel far.